Solar swimming pool heaters work really quite easily. Your swimming pool pump sends the pool water through a series of black-colored panels. Each panel has thin tubes that absorb solar heat and pass it to the water. When the water leaves the series of panels, it is significantly warmer. Return pipes pass it right back to your swimming pool. 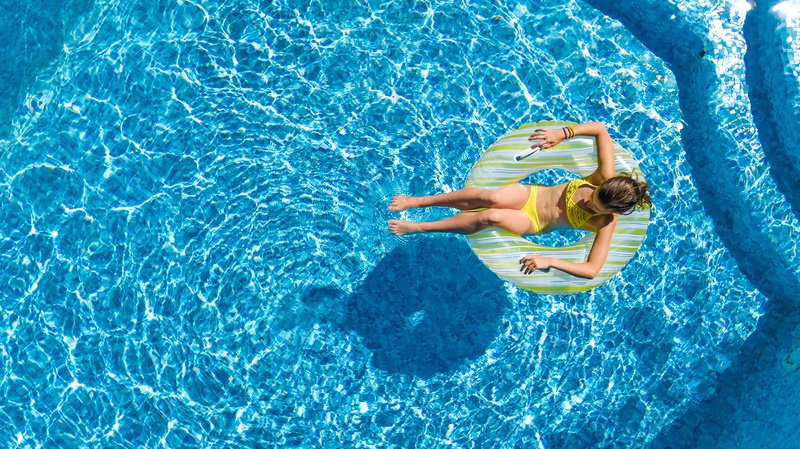 A thermostat controls the process to make certain your temperature stays exactly where you like it, even cooling your swimming pool by moving water during the nighttime. Solar swimming pool heating panels are usually installed on the roof of your home or another poolside structure. Their sleek profile makes them wind-resistant. Panel arrangements are flexible, allowing Solaron to maximize the capability to absorb solar energy. A solar swimming pool installer in Winters for well over twenty years, Solaron can retrofit your swimming pool or install a solar swimming pool heater for a new swimming pool. We place only Heliocol solar swimming pool components and are the largest California Heliocol dealer and distributor. With sales and installation workers fully trained by Heliocol, Solaron guarantees your satisfaction. Get started by phoning us today at 916-631-9293 or by using our digital request form!